The Redmond, Washington-based company beat Wall Street estimates for quarterly profit and revenue, powered by an unexpected boost in Windows revenue and brisk growth in its cloud business which has reached tens of billions of dollars in sales. Microsoft shares rose 4.4% to $130.54 in late trading after the forecast issued on a conference call with investors, pushing the company ahead of Apple Inc's $980 billion market capitalization. Microsoft's stock has gained about 23% gain so far this year, after hitting a record high of $125.85 during regular trading hours. 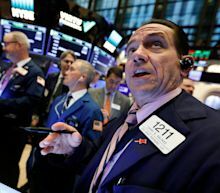 Microsoft's ongoing push to get automakers, retailers and other businesses onto its cloud computing platform helped power the company's third-quarter earnings ahead of Wall Street expectations Wednesday. Amid a decline in its legacy Windows software business, much of Microsoft's growth in recent years has come from selling its cloud services to other businesses and governments. 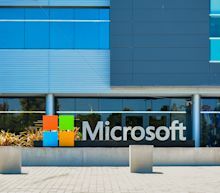 Microsoft Chief Financial Officer Amy Hood said in a statement Wednesday that revenue from the company's "commercial cloud" segment grew 41 per cent year-over-year to $9.6 billion.